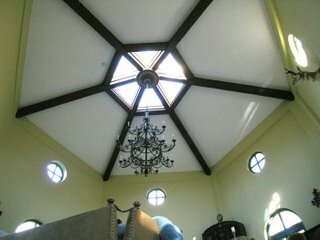 Recently I completed a project three or more years in the making, for a wonderful home in Orinda, California. 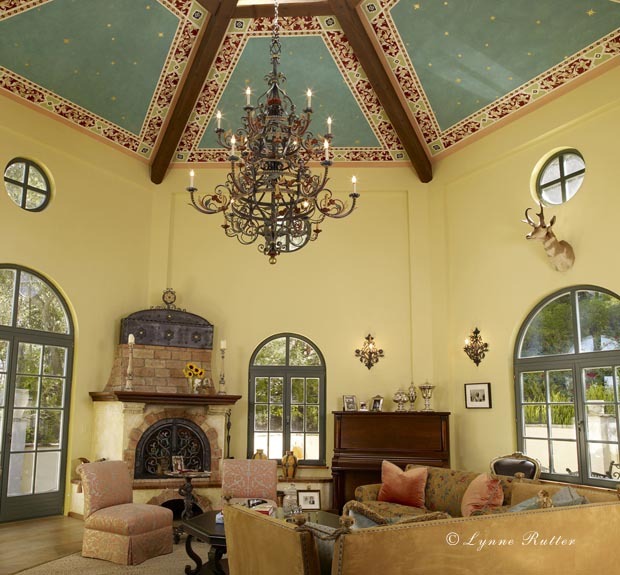 Built in the style of a Landhaus-Villa, the architecture combines elements from Italian and Austrian hunting lodges, with detailed with custom polychromed ironwork, and antique handmade bricks stamped with the Hapsburg crest. 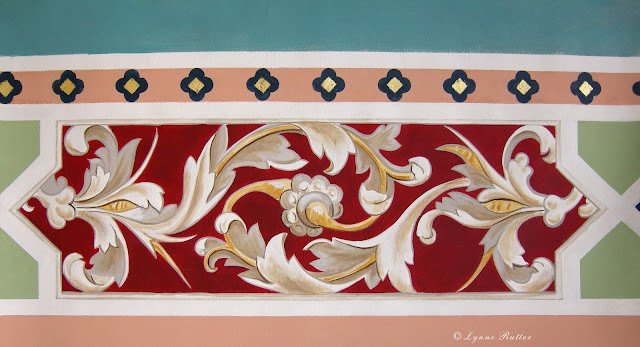 My patrons love Italy as much as I do, so for our principal design element I took inspiration from the the painted ornament of the early Renaissance Basilica of Santa Croce in Florence. This element was adapted and hand-painted 66 times - a natural, hexagonal number, also a sphenic number, adding a mathematical stability and a sense of architectural symmetry to a slightly off-center space. The color palette was adjusted to suit the decor of the house, the bricks, the fabrics in the room, the lemon yellow walls. Terra-cotta banding, wasabi green, with pure red and yellow-ochre panels with trompe l'oeil, and quatrefoils of deepest blue make up the borders. Rather than the lapis blue you might expect, the field is a deep turquoise color scattered with 22 karat gold stars. 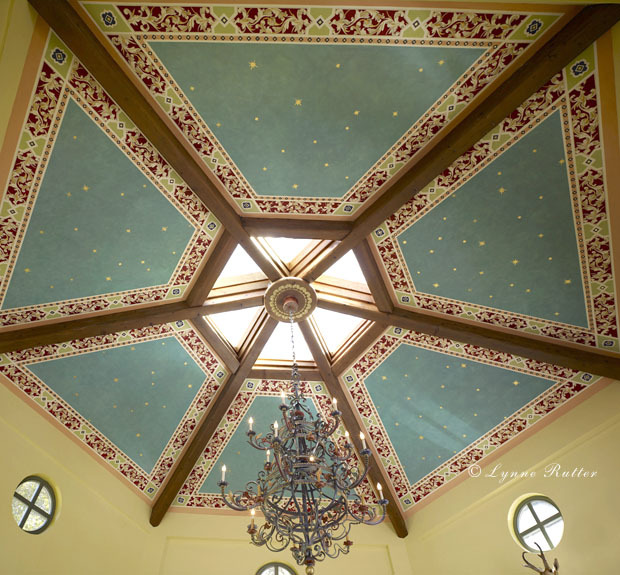 after - 22karat gold leaf stars and accents glitter in a colorful ceiling from which grows a polychrome iron chandelier.